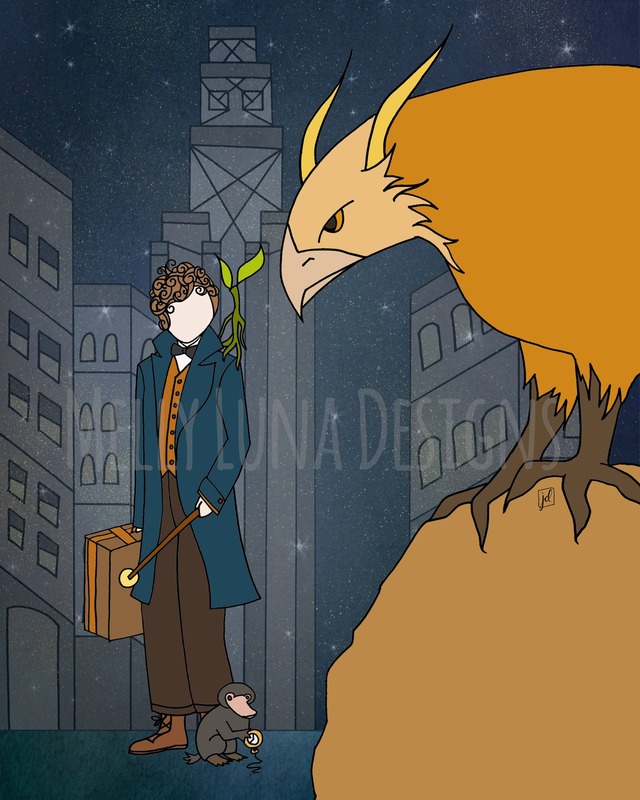 Original artwork inspired by Fantastic Beasts. 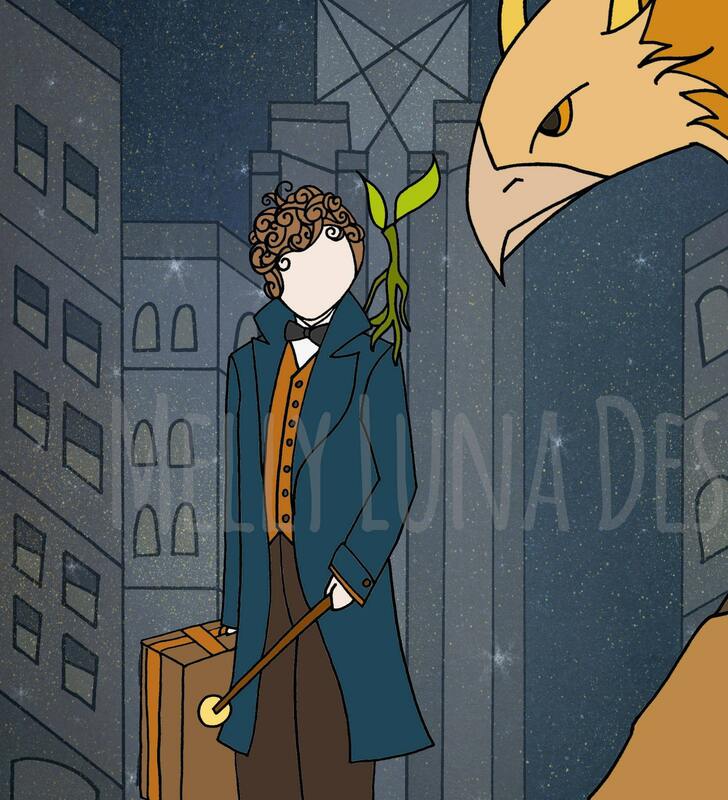 Mr. Scamander and some of his beasts prepared for anything in the city where anything can happen. The original art was created with pen and ink techniques and then overlaid on an abstract background. The abstract background was sourced from a fellow Etsy artist of DigiTreats https://www.etsy.com/shop/DigiTreats?ref=l2-shopheader-name and MixPixBox https://www.etsy.com/shop/MixPixBox?ref=l2-shopheader-name (stars).